If you are using TouchPoint Building Check-In, this report will give you an up-to-date listing of everyone who is checking into your building. 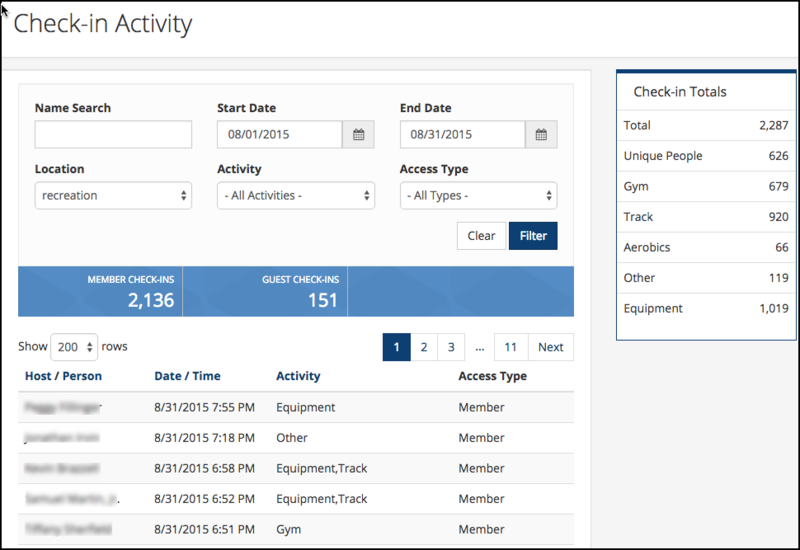 You can filter by Name , Dates , Activity or Access Type . If you have more than once instance of Building Check-In set up, you can filter by Location . You can access this report by going to Administration > Misc > Check-In Activity . It is a perfect way to evaluate the usage of your building and its activities. The user roles Access and Edit are required to view this report.